82.76% of early English ballads. Free to the public thanks to the generous support of the NEH, UCSB, Making Publics, UT Dallas, UALR, and UCHRI. The core of the Roxburghe collection consists of ballads published in English from 1567 - c. 1790; however, most were published in the seventeenth century. 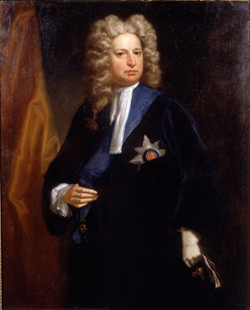 The collection was initially assembled for Robert Harley, 1st Earl of Oxford, by John Bagford and Harley's principal librarian, Humfrey Wanley (Samuel Pepys also employed Bagford, who was a bookseller, to help gather ballads for his collection). It should be noted that Bagford assembled his own collection of ballads separate from the ones he helped compile for Harley and Pepys. The Harleian collection was originally bound in three volumes, but at its dispersal, James West, President of the Royal Society, purchased the collection and made additions, as did Thomas Pearson at the West sale in 1773. Pearson also rebound the three volumes into two volumes with printed indexes. At Pearson’s sale in 1778, the collection was purchased by John Ker, 3rd Duke of Roxburghe (1704-1804), after whom the collection is now named. Roxburghe added a third volume of seventeenth- and eighteenth-century ballads. At the Roxburghe sale in 1812, the collection was then bought by Benjamin Heywood Bright, who added a fourth, slim volume of 85 mostly seventeenth-century ballads. The entire collection was purchased by the British Museum (now the British Library) in 1845.